Wine rule of thumb: When wine drinkers are unaware of or overlook a particular type of wine, the possibility for values abound! This fits France's Cahors wine region, where Nicole and I recently spent three days, precisely. First, most wine drinkers are unaware of what wine from Cahors is. (Until recently, so was I) Malbec! Although Argentinian Malbec has exploded onto the wine scene over the past few decades, the Malbec O.G., Cahors (where the grape originated), has remained shrouded in obscurity. To be sure, Cahors Malbec, grown in a relatively cooler climate, tends to be a bit more earthy and restrained than the warmer climate Argentinian Malbec. Nonetheless, Cahors Malbec is still big, bad, inky wine. Indeed, a traditional Malbec glass (shown in the picture below) has a finger ring on the stem. Supposedly, if one is drinking true Cahors wine, they will not be able to see their finger through the black wine in the glass. The Malbec Wine Lounge in the town of Cahors. Highly recommended for wine lovers! Visiting the Cahors wine region is great. Much more rustic and humble than its more famous neighbor, Bordeaux, which is a two hour drive east, Cahors is uncrowded but teeming with life. It reminded me of the farm lands of eastern Washington State where I grew up. Nicole and I stayed at a fun bed and breakfast run by a semi-retired English couple. They even invited Nicole and I to join them and a couple of friends for an in-home wine tasting one night. So much fun, we are still talking about it! One of their friends, in his early 70's, immediately called me out for examining the wine in my glass against a white piece of paper. "Looks like we are in for some real intelligent insights from this young man over here," he remarked bemusedly. At the La Borde Neuve Bed & Breakfast in the Cahors wine region. The only drawback to Cahors we found: It is difficult to arrange winery visits using our go-to sources such as the Rue de Vigneron app. This made arranging winery tastings a pain. What? Pick up the phone and call? How 2014 (and difficult for non-French speakers). One winery we emailed about a visit just got back to us today -- five days after we inquired. But the winery we did visit charmed us. 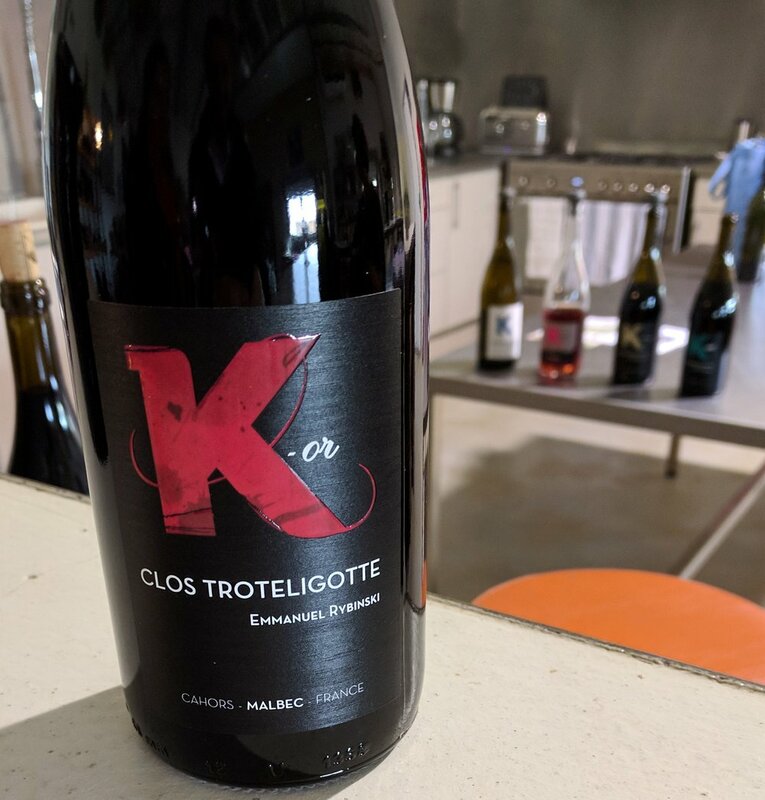 Clos Troteligotte, by many accounts an up-and-comer in the region, features a roster of wines all with the letter "K" on the label (I have no idea why, but they all seem to be plays on words). During our tasting, we particularly enjoyed the 2015 K'Or ("Or" means gold in French; K'Or is a phonetic spelling of Cahors -- see what they did there :) ) and the 2013 K'Lys. Nonetheless, we were happy with all of the bottles we tried and would pick any up if we saw them. They sell in the $15 - $30 per bottle range. At one point, the woman running the tasting room couldn't think of the proper English word to describe part of the winery's biodynamic farming techniques. She hollered back to the winemaker who walked into the tasting room, declared that the word she was looking for was "cow sh*t," and left us back to our tasting. Rustic charm! In Nicole and I's final analysis, Cahors is a wine region that highly intrigued us. 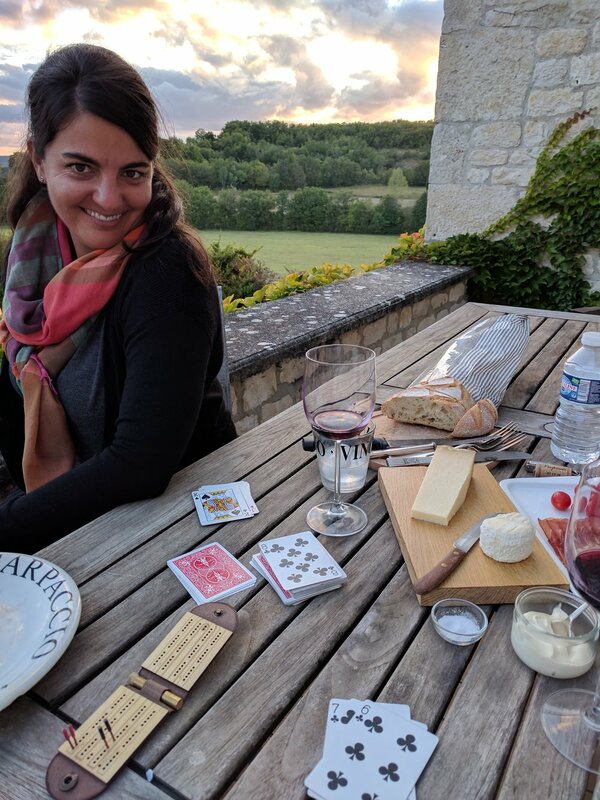 We have loved touring and tasting in places like Burgundy and Bordeaux but, in all honesty, good luck finding value wines in those regions which the wine world examines under a microscope. Significantly fewer wine drinkers are paying attention to Cahors. I believe this is purely due to a marketing failure by Cahors' wine trade. 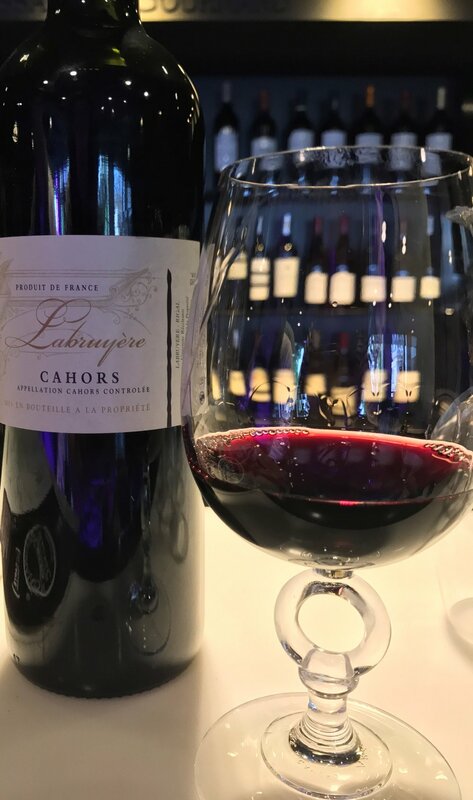 Cahors wines are solid values, the flavor profile is geared to the American palette which tends to favor bolder wines, and typically bottles can be found in the States in wine shops and restaurants. More people should be drinking this! However, because distribution in the States is still limited, rather than looking for particular Cahors wineries or labels, my strategy going forward will simply be to be on the lookout for anything from the region (and to shoot for bottles with a few years of age rather than the most recent vintage since the highly tannic wines benefit from lying on their side for a few years). Nicole and I can't endorse Cahors enough.